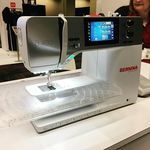 As part of our 40th Year Anniversary Celebration, we are adding the full line of Bernina Sewing, Embroidery and Quilting machines to 6 of our 7 Retail Stores; Allbrands Houston, AllBrands San Antonio, Allbrands Lake Charles, Allbrands Baton Rouge, Allbrands Metairie or Allbrands Slidell. BERNINA International AG has been one of the world's leading sewing and embroidery machine manufacturers for more than 120 years. The Swiss family-owned company's products are synonymous with innovation and precision. Above all, they are known for their durability. BERNINA sewing machines are used worldwide by people with a passion for sewing. Our passion is the development of products that allow you to put your creative ideas into practice. Here, you can find out what makes BERNINA special and learn about our values and our philosophy. We are proud of the fact that we are the only sewing machine manufacturer still producing in the western world. At our headquarters in Steckborn, Switzerland, we can look back on a tradition that dates back more than 120 years. 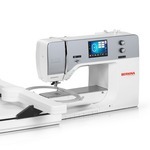 Bernina History BERNINA has combined quality, tradition and innovation since the end of the 19th century. Learn more about the history of BERNINA's innovative products. SEWING MACHINE CLEANING AND OILING for Bernina 7 and 5 Series machines.